AF Series Gyratory Screener video from Xinxiang AAREAL Machine Co.,Ltd. Simple pursuit of sieving accuracy will be at the expense of yield, while the pursuit of large yield will decrease the accuracy. The gyratory screener is a kind of high precision and large yield efficient screening equipment which is specially designed for the above problem. With the characteristics of low failure rate, low downtime rate, low cost, and high output, high precision, high highly efficiency, it is the classic model of our company. This machine has the screen sides tensioning device and the ball cleaning system, which provide the maximum horizontal amplitude, making the qualified product screening rate reach the highest. In addition, it has a huge screening capacity. The screening machine can be equipped with one to five layers of screen, which can complete the sieving from 12 mesh to 325 mesh. It can be designed as duplex screening to make it more productive. The design is compact and energy efficient. 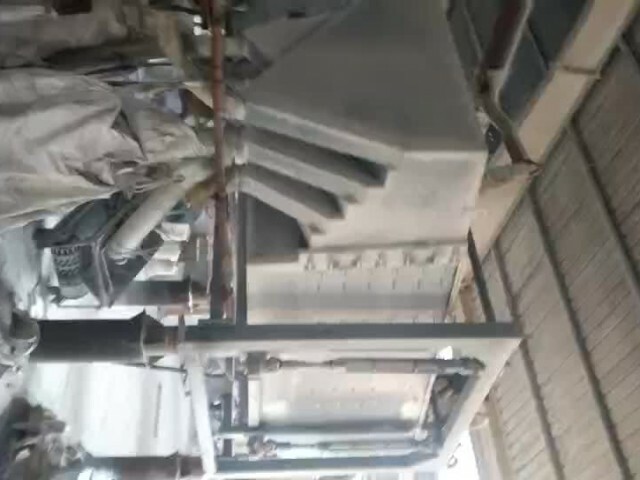 The drive is installed in the lower part of the sieve machine, which is driven by the motor through the triangle belt, making the screen box generate vibration. In the case of almost no vertical vibration and jump, the special gyratory motion can make the material enter from the top of one end of the equipment and quickly disperse in the screen surface. Affected by the thrust of the screen surface, the material flows rapidly toward the discharge end. The small particles go through the screen and the big particles stay on the mesh surface, thereby complete the screening operation. AF series gyratory screener drives the screen box to do circular motion through the kinetic energy generated by the high speed rotating exciter. And it utilizes the slightly inclined screen surface to make the material move on the screen surface and quickly go through the mesh, achieving a high screening efficiency and a high yield. It is also equipped with fast tensioning and automatic cleaning screen installation system to achieve the ideal screening effect. The fully enclosed structure conforms to the environmental protection requirements. And there are few vertical impact loads on the ground based on the specific movement methods, which makes the AF series gyratory screener have a broader market application environment.